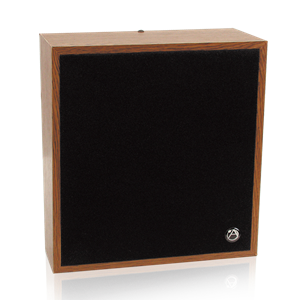 Features a walnut grain wall baffle/enclosure with an attractive black fabric grille. Baffles are designed with a 9.5° slope to provide directional sound dispersion offset in the direction of radiation. Each package contains a high-quality 8" transducer.